24K by Fortune in Akota, Vadodara by Axis Intratech is a residential project. The size of the APARTMENT ranges in between 1150 sq.ft. and 1759 sq.ft. 24K by Fortune price ranges from Rs. Rs. 1.64 Cr to Rs. Rs. 1.69 Cr. 24K by Fortune offers facilities such as 24/7 water supply, Club house, Gymnasium, Inter-com, Children's play area, Lift and Power back-up. It also has amenities like Jogging track and Swimming pool. This is a RERA registered project with registration number PR/GJ/VADODARA/VADODARA/Others/RAA00237/220917. The project is spread over a total area of 0.54 acres of land. It has 72% of open space. 24K by Fortune has a total of 1 towers. An accommodation of 20 units has been provided. You can find 24K by Fortune price list on 99acres.com. 24K by Fortune brochure is also available for easy reference. Vadodara is witnessing growth in every aspect. Hence, the real estate market is also witnessing growth. The major drivers of the realty market of this city are booming industries that generate new jobs, infrastructural developments and presence of quality healthcare and educational institutes. In which area is 24K by Fortune located?The project is situated in Akota, Vadodara. What apartment sizes are available in 24K by Fortune? The project offers apartments sized between 3500.0 sqft and 5000.0 sqft. 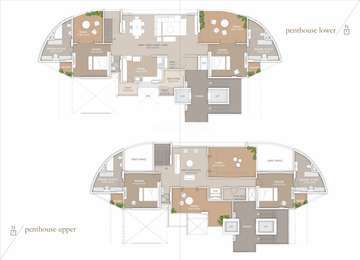 What is the area of 4 bhk in 24K by Fortune? The size of 4BHK units in the project ranges from 3500.0 sqft to 5000.0 sqft. What is total size of 24K by Fortune?The project is built over an area of 0.54 Acres. How much is price of 4bhk in 24K by Fortune? 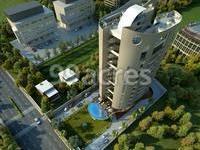 4 BHK units in the project are priced at Rs. 16499000 to Rs. 16999500. What is the price of flats in 24K by Fortune? Average unit prices in the project stand between Rs. 16499000 and Rs. 16999500.